Christopher Bassford, CLAUSEWITZ IN ENGLISH. Chapter 11. Maltzahn's analysis was no doubt of great interest to his British readers, not least because of his emphasis on England as both model and enemy. His discussion drew on many British examples, including the Pitts and the Peninsular War. In particular, he drew parallels between the ideas of Clausewitz and Horatio Nelson, emphasizing their common focus on the destruction of the enemy's armed forces. Maltzahn represented England as a nation that saw both war and commerce as weapons to be used in pursuit of policy, implying a moral equivalence between the two. His view of the Anglo-German naval race could only have been seen as a naked threat: "In the case of England, the rendering the enemy defenceless, that is, gaining the command of the sea, approximates so closely to the object of war that it to some extent takes the place of that object `as something not strictly pertaining to war.'" In other words, England could be rendered subservient to Germany's will merely by depriving her of superiority at sea. Maltzahn argued that "we only need to take up the thread of [Clausewitz's] argument ... to apply it direct[ly] to naval war." He placed the emphasis of naval warfare on destruction of the enemy fleet, although he acknowledged that not all battles must have that purpose. Like Caemmerer, he sided with Bismarck against Moltke on the relationship of war and policy, stating explicitly that "not only the `main outlines of the war' ... but also the actual conduct of the war `comes under the political, and not the military authorities.'" On the issue of attack and defense, however, he contended that the nature of the sea, as an area belonging to neither side in peacetime, permitted no distinction between the strategic offense and defense; the latter started at the enemy's shoreline. The lack of terrain features meant that there was no tactical difference either. Clausewitz also appeared prominently in the 1898 American translation of an important Russian work on naval theory: S.O. Makarov's book on naval tactics. Makarov was an energetic military reformer, as was typical also of those Britons who cited Clausewitz. Makarov's many references clearly derive from the Principles of War, not On War. The most striking impression he drew from the Prussian author was the importance of seeking "death with honor"; that is, it is better to go down to defeat in a manner that creates the basis for a national renewal than to survive in a manner that calls into question the state's raison d'être. 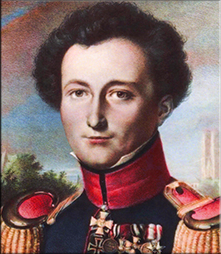 He was also impressed by Clausewitz's insistence on boldness and taking the initiative. (*2) Practicing what he preached, Makarov was killed in battle with the Japanese in 1904 while trying to inspire his sailors by example. The American Alfred Thayer Mahan, the dominant naval writer of the era and an original theorist in his own right, made few references to Clausewitz and drew heavily on Jomini. Nonetheless, by the 1890s Mahan--who did not read German--had become familiar with at least the broad outlines of Clausewitz's thought. (*5) Mahan's interest is further evidenced by his marginal notes in a copy of Major Murray's 1909 The Reality of War. (*6) Although he called Clausewitz "one of the first of authorities" and occasionally drew on specifically Clausewitzian themes, he found him to be in essential agreement with Jomini in all significant respects. (*7) Mahan therefore continued to put forth his arguments in largely Jominian terms. (*8) One of the points that most impressed him about Jomini was the Swiss theorist's grasp of the tight connections between war and foreign policy. This is a major theme in Mahan's own work, as he sought always to integrate naval operations with "diplomacy." Mahan was also influenced by his chief British competitor, the naval theorist Julian Stafford Corbett (1854-1922). Originally a lawyer and then a war correspondent for the Pall Mall Gazette and a historical novelist, Corbett published his first scholarly work on naval history in 1898. (*9) He began lecturing in the Royal Navy's War Course in 1902. In 1903 he became Ford Lecturer in English History at Oxford. Corbett was essentially a historian, and a better one than Mahan, who based his work on secondary sources. Corbett worked principally with primary sources and did not have a high opinion of Mahan's abilities as either a historian or a strategist. He had, as well, a strong interest in tactics and contemporary policy. Less well known than Mahan, he was influential enough to be knighted in 1917 for his work as secretary of the Historical Section of the Committee of Imperial Defence. He early became an important member of Admiral Fisher's circle. Corbett's biographer, Donald M. Schurman, suggests that Corbett's most important influence on Fisher was to keep him reminded of the human, moral, and intellectual side of war. (*10) During the war, Corbett would draft the general instructions to Admiral Jellicoe, commander in chief of the Grand Fleet. (*11) Corbett's thinking may in fact have been a major influence in forming Jellicoe's cautious and almost certainly correct policy of "not losing the war in an afternoon. "(*12) Corbett's strategic ideas (which stressed the strengths of the defense) would actually be blamed by many traditionalists for the Royal Navy's "failure" at Jutland. Afterward, Corbett would write the controversial official history of the naval war. Corbett was a brilliant if somewhat erratic thinker, and his work shows a continual evolution making it difficult to summarize. He was not a Blue Water theorist, however, and his work stressed the limitations as well as the importance of naval power; it was the coordination between land and naval strategy, rather than independent naval action, that most interested him. Ultimately (by around 1910) it was Fisher's resistance to the creation of an efficient naval staff and to interservice planning that alienated him from the flamboyant first sea lord. (*13) Corbett rejected the idea, common in the Royal Navy after Copenhagen and Trafalgar, of the invariable dominance of the offensive. This made him a controversial figure in many naval circles, where it was felt that his analysis tended to denigrate Nelson and the Nelsonian tradition. In a prefatory note to his official history of naval operations in the Great War, the lords commissioner of the admiralty disclaimed responsibility for its arguments: "Their Lordships find that some of the principles advocated in this book, especially the tendency to minimize the importance of seeking battle and of forcing it to a conclusion, are directly in conflict with their views." These lectures provided a coherent analysis of naval history from the Armada through the Spanish-American and Russo-Japanese wars. This analysis was based almost entirely on Clausewitz's concepts of limited war, the strengths of the defense, and war as a continuation of policy. Curiously, despite his belief in the power of the defensive mode, Corbett rejected the notion of convoys. Put into practice in World War One, this rejection had disastrous results. Unfortunately, while Churchill's interest in and familiarity with Corbett's work are amply attested,(*24) we have little more than conjecture with which to determine just what piqued his curiousity and what lessons he drew from it. Although there have been suggestions that Churchill's strategy in World War Two drew heavily on Corbett's Clausewitz-inspired ideas about war fought with limited resources,(*25) insofar as I have been able to discover, Churchill never committed any relevant thoughts to paper. Mr. Corbett and his disciple appear to me to have completely misunderstood the meaning of the doctrine expounded by Clausewitz, whose fundamental idea was that it is very dangerous to go into a war with the idea that you will not have to fight, that once you are engaged in a fight there is no safety short of knocking your opponent down, and that the most dangerous mistake you can possibly make is to assume in advance without very substantial reason that there is any limit to the risks you run. Corbett received a more balanced treatment from another reviewer, Major (later Major-General) L.H.K. Pope-Hennessy, in the Edinburgh Review. Pope-Hennessy, who had seen considerable combat in colonial campaigns and would see more both in Europe and in Mesopotamia during the coming Great War, also assessed Corbett's (and Mahan's) arguments by reference to Clausewitz. (*30) He took a much more positive attitude toward Corbett's work as a whole but also took sharp issue with him over the possibility of limited war. The violence of Wilkinson's attack seems hard to explain on purely theoretical grounds, although a personal animus would be out of character. Corbett's association with Fisher may have been a factor. Wilkinson was frustrated by Fisher's refusal to create an effective naval staff, a goal that his Brain of the Navy made quite personal for him. He may not have been aware of Corbett's unhappiness over the same issue. Wilkinson as historian might have found Corbett's analysis to be of great interest, but Wilkinson as Cassandra, intensely aware of Europe's accelerating slide toward catastrophe and of Britain's unpreparedness for it, did not. Wilkinson's work on naval power has led some modern writers to lump him in with the Blue Water school of strategists. (*33) This is a misleading characterization of Wilkinson, who actually lost his job at the Morning Post in part for failing to support what he considered to be excessive naval appropriations bills. His editor complained that Wilkinson was "not half strong enough" on the naval bills even after "hours of talking to every evening. "(*34) The topic does, however, lead us to one of the key strategic debates of the day, in which Clausewitz's theories were used as ammunition. It is impossible to draw a sharp line between the Blue Water theorists and the army's soldiers, as some have done. Most military men seem to have agreed that the navy was Britain's first line of defense, and there were various shades of opinion regarding the relationship of British naval power to such military problems as the defense of India, a continental war against Germany, and the defense of Britain itself against invasion. There was, however, an extreme school of Blue Water theorists. One of its key ideas was that possession of an undefeated "fleet in being"--in some versions even a defeated one--was an absolute bar to any overseas invasion of its possessor because of the threat it would pose to any landing operation. No nation could launch a seaborne invasion without itself first achieving "command of the seas." Opponents of the naval extremists called this the "dinghy theory," since the Blue Water types had allegedly argued that "not even a dinghy" could break through the Royal Navy's cordon around Britain and therefore that no large land forces would be required to defend the home island. (Actually the argument was that no invasion force more significant than a raid of five thousand to ten thousand men could be put ashore.) In the extreme Blue Water view, mere possession of uninterrupted sea-lanes from Britain to her vast colonial possessions--even those that, like India and Canada, were menaced by strong land powers--guaranteed them from hostile seizure. Corbett's belief in the power of the naval defense, however, which was rooted in Clausewitz's analysis of attack and defense, did serve to support the Blue Water view of the unlikelihood of a successful amphibious invasion of Britain. When Repington launched an invasion scare in 1906-8, he postulated a German "bolt from the blue" descent on an unsuspecting England. Corbett gave his friend Captain Slade a memorandum analyzing the roles of the army and navy in frustrating previous threats of invasion. (*36) Slade then delivered the critical arguments that led the government's investigating committee to conclude that Repington's expressed fears were without foundation--as indeed they were, having been put forward with the principal purpose of gaining an increase in the army's budget. Thus Corbett's argument, made from about 1906 on, may have helped cause the army to focus on its continental rather than its home defense missions. Neither Repington, a known reader of On War, nor Slade, who was certainly familiar with Corbett's work, made any direct reference to Clausewitz when testifying before the committee. It is worth noting, however, that testimony by Wilkinson's correspondent Field-Marshal Lord Roberts and by Lieutenant-Colonel Lord Lovat did include intelligent references to Clausewitz. (*37) Roberts clearly assumed that the Committee of Imperial Defence knew who Clausewitz was. There have been discussions on the question whether Germany, or any other Power, could be so base as to attack us by surprise, but these discussions, as a rule, confuse two totally different things, namely, attacks without warning and attacks without cause. There have been instances in Prussia's history when she has attacked an enemy both without warning and without cause, but it is not necessary for our argument that we should assume their recurrence. According to German teaching, when a cause for war arises, it becomes the business of German statecraft to provide that war breaks out in conditions most favourable to the success of the national arms. The exact relations between policy and war were defined in the clearest manner by the organ of the German Great General Staff in a remarkable paper entitled "Politik und Kriegführung,"(*38) published before Moltke's death, and bearing the impress of his style. The paper reached the conclusions I have stated, and they imply that, when Germany finds a cause for war, she will not announce the fact from the housetops, but will keep it to herself, and strike when her hour comes. Thus Clausewitz was an influence on major figures on both sides of this important issue. In naval as in military matters, then, the proponents of total war and the ideology of the offensive were forced explicitly to break with Clausewitz. 1. For knowledge of Maltzahn's work I am indebted to Professor Jon Sumida of the University of Maryland. Admiral von Maltzahn, trans. W.H. Hancock, What Lesson has General von Clausewitz's Work, "On War," for the Naval Officer? (Portsmouth: War College, November 1906), No.4 (Naval Library P806); originally Marine Rundschau, June 1905. See also Curt Freiherr von Maltzahn, trans. John Combe Miller, Naval Warfare (London/New York: Longmans, Green, and Company, 1908; Leipsig, 1906). Maltzahn frequently cited Julian Corbett's historical works. 2. Vice Admiral S.O. Makarov, Imperial Russian Navy, Discussion of Questions in Naval Tactics, trans. Lieutenant [USN] John B. Bernadou (Washington, DC: Office of Naval Intelligence, 1898; reprinted Annapolis: United States Naval Institute, 1990). Compare Carl von Clausewitz, Principles of War, trans. Hans W. Gatske (Harrisburg, PA: Military Service Publishing Company, 1942), 13. 3. Naval War College Archives, RG8/UNT 1894. 4. Ronald Spector, Professors of War: The Naval War College and the Development of the Naval Profession (Newport, RI: Naval War College Press, 1977), 117. 5. Captain (USN) William Dillworth Puleston, Mahan: The Life and Work of Captain Alfred Thayer Mahan, U.S.N. (New Haven: Yale University Press, 1939), 295; Spector, Professors of War, 121. Robert Seager, ed., Alfred Thayer Mahan: The Man and his Letters (Annapolis: US Naval Institute Press, 1978), 552, 683,n.11, is not sure Mahan ever read Clausewitz; if so, he places it around 1910. Mahan may nonetheless have known the broad outlines of On War earlier. 6. Mahan's copy has been lost; his marginal notes were transcribed into a copy donated to the Naval War College by Puleston. 7. Alfred Thayer Mahan, Naval Strategy Compared and Contrasted with the Principles and Practice of Military Operations on Land: Lectures Delivered at the Naval War College, Newport, R.I., between the Years 1887 and 1911 (Boston: Little, Brown, and Company, 1911), contains two explicit references to Clausewitz: a footnote, p120, to Clausewitz's sarcastic discussion of "keys to the country," (Book Six, Chapter 23, of On War); p279, where Mahan refers to Clausewitz as "one of the first of authorities," discusses Corbett citing On War on the relationship of defense and offense. Mahan is comparing the naval and land aspects of strategy, clearly discussing the Clausewitzian interpretation without identifying it as such. See also his discussion of some naval warplans in a letter to Raymond P. Rogers, 4 March 1911, in Alfred Thayer Mahan, eds. Robert Seager II and Doris D. Maguire, Letters and Papers of Alfred Thayer Mahan (Annapolis: Naval Institute Press, 1975), II, p389-394.] Mahan also discusses "ends and means" at some length (esp. p5), in a manner strongly reminiscent of Clausewitz. 8. See Puleston, 295; Spector, 121. 9. Julian S. Corbett, Drake and the Tudor Navy (London: Longmans, Green and Company, 1898). 10. Donald M. Schurman, Julian S. Corbett, 1854-1922: Historian of British Maritime Policy from Drake to Jellicoe (London: Royal Historical Society, 1981), 36-37. 11. Barry D. Hunt, "The Strategic Thought of Sir Julian S. Corbett," in John B. Hattendorf and Robert S. Jordan, eds., Maritime Strategy and the Balance of Power (New York: Macmillan, 1989), 112. 12. So suggests Eric J. Grove, "Introduction," Corbett, Some Principles of Maritime Strategy (Annapolis: Naval Institute Press, 1988; originally London: Longmans, Green and Company, 1911), xli. 14. Mahan to John P. Merrell, 20 December 1908; Mahan to Raymond P. Rogers, 4 March 1911, Mahan Papers. See also John B. Hattendorf, "Sir Julian Corbett on the Significance of Naval History," American Neptune, v.XXXI, no.4, 1971. 16. Corbett's lectures are preserved in "Lectures on Naval Strategy by Sir Julian Corbett," Corbett Papers, "Deed Box," MS 81/143 in Britain's National Maritime Museum. 17. Corbett's "Notes on Strategy" ("The Green Pamphlet") is reproduced as an appendix to the 1988 edition of Some Principles, 307-345. 18. Julian S. Corbett, England in the Seven Years' War (London: Longmans, Green and Company, 1907). 19. Hunt, "Strategic Thought of Sir Julian S. Corbett," esp. 124-125. See also Schurman, The Education of a Navy: The Development of British Naval Strategic Thought, 1867-1914 (Chicago: University of Chicago Press, 1965), 147-184. 20. William R. Hawkins, "The Man Who Invented Limited War," Military History Quarterly, v.4, no.1 (Autumn 1991), 105-111, believes that Corbett somehow "broke" with Clausewitz over this issue. 21. Bernard Brodie, Seapower in the Machine Age (Princeton: Princeton University Press, 1941), cites a number of Corbett's works, including Some Principles. 22. Churchill, The World Crisis (New York: Scribner's, 1923), 93. 23. Ed. Oliver, Viscount Esher, Journals and Letters of Reginald Esher, v.III (1938), cited in Arthur J. Marder, From the Dreadnought to Scapa Flow, v.I (London: Oxford University Press, 1961), 404. 24. Donald Schurman, Education of a Navy, 190, makes a similar argument about Churchill. 25. Professor Raymond Callahan (University of Delaware), presentation, "British Strategy in World War II," USMC Command and General Staff College, 9 October 1992. 26. See letter, Wilkinson to Beresford, 9 October 1894, Wilkinson Papers, 13/21. 27. Spenser Wilkinson, The Command of the Sea (Westminster: A. Constable, 1894); The Brain of the Navy (Westminster: A. Constable, 1895). 28. Spenser Wilkinson, "Strategy in the Navy," Morning Post, 3 August 1909, referring to Lieutenant Fisher, RN, "The Command of the Sea: What is It?," Journal of the Royal United Service Institution, v.LIII, n.377 (July 1909), 847-864, third place winner of the Royal United Service Institution's essay contest. 29. Spenser Wilkinson, "Strategy at Sea," a review of Corbett's Some Principles of Maritime Strategy, Morning Post, 19 February 1912; Wilkinson Papers, 13/54. 30. Anonymous,"Great Britain, Germany, and Limited War," Edinburgh Review, April 1912, 485-514. L.H.R. (Ladislaus Herbert Richard) Pope-Hennessy is identified as the author in that journal's archives, University of Reading. See also Pope-Hennessy's "The British Army and Modern Conceptions of War," April 1911, 321-346; "The Place of Doctrine in War," January 1912, 1-30. 31. Corbett Papers, Box 5, cited in Grove, "Introduction," Some Principles, xlii. 32. See esp. Wilkinson, "Strategy at Sea." 33. E.g., John Gooch, Plans of War, 15. 34. Keith M. Wilson, "Spenser Wilkinson at Bay: Calling the Tune at the Morning Post," Publishing History, v.19 (1986), 33-52. 35. Repington, Foundations of Reform, 1-12. 36. Corbett Papers, Box 6. Much of its argument appears in Some Principles, Chapter IV, Part 1, "Defence against Invasion," 233-261. 37. Simon Joseph Fraser, fourteenth Baron Lovat, later Major-General, 1871-1933; Public Record Office, Cab. 16/3A, "Report and Proceedings of a Sub-committee of Imperial Defense. Appointed by the Prime Minister to Reconsider the Question of Overseas Attack, 22 October 1908." Lord Roberts's discussion of Clausewitz appears on pp. 3-4, Lord Lovat's on p. 101. This material is Crown copyright and is reproduced with the permission of the Controller of Her Majesty's Stationery Office. 38. Militär-Wochenblatt, March 28, 1883. 39. This argument appears several times in On War (e.g., Book Six, Chapter 24; "Instruction for the Crown Prince" [Graham/Maude v.III, 282-284]. On boldness as a part of military genius, see Book Three, Chapter 6. 40. Wilkinson also speaks of Colomb (1831-1899) as a Clausewitzian. Colomb's forecast of the next European war, The Great War of 189-- (London: William Heinemann, 1893), was a collaboration with F.N. Maude and J.F. Maurice. 41. Rear-Admiral Sir Charles Ottley's introduction to James R. Thursfield, Naval Warfare (Cambridge: Cambridge University Press, 1913), ix. 42. Thursfield, Naval Warfare, 1-5.